The anti-graft crackdown initiated in Saudi Arabia recently was "extremely necessary" because roughly $20 billion of state funds was "disappearing" every year, Saudi Crown Prince Mohammed bin Salman has said in a US television interview. 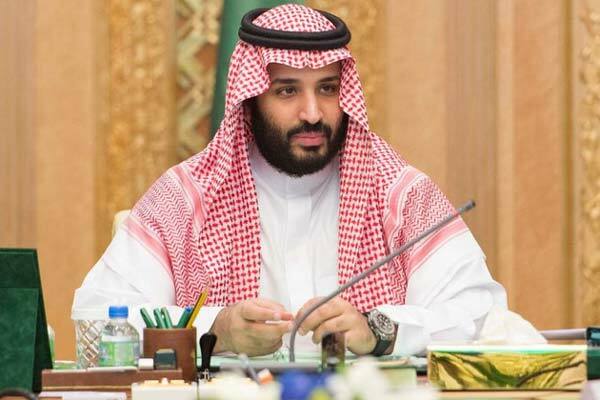 In the interview aired by CBS television on Sunday, the crown prince said Saudi Arabia has recovered more than $100 billion so far in its crackdown against corruption, a report in Arab News said. "The amount exceeds $100 billion, but the real objective was not this amount or any other amount. The idea is not to get money, but to punish the corrupt and send a clear signal that whoever engages in corrupt deals will face the law," he said. The crown prince also said work is underway to a new initiative to introduce regulations ensuring equal pay for men and women. Speaking on the threats posed by Iran and its proxies across the region, he said if Iran acquired a nuclear weapon then Saudi Arabia will too. The interview was conducted by CBS anchorwoman Norah O’Donnell.